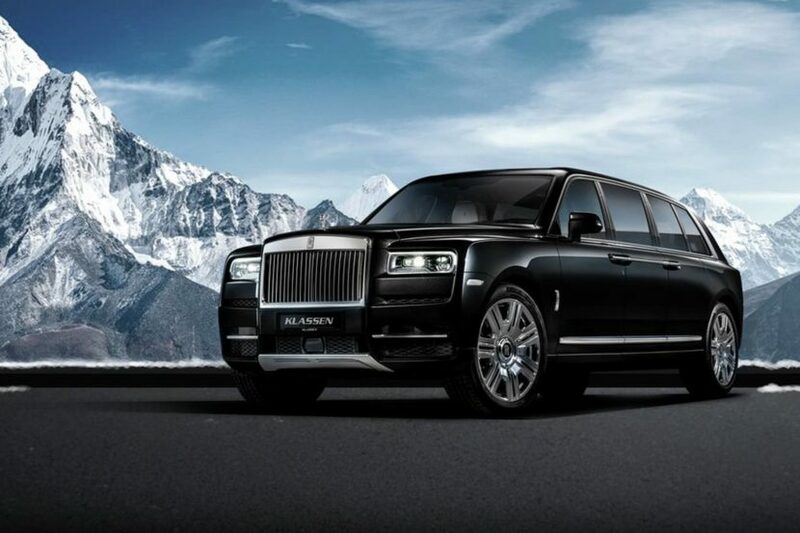 The Rolls-Royce Cullinan really is the Rolls-Royce of SUVs and that’s as true as it is peculiar to read. The best of the best in the SUV world now wears a double-R emblem and some would say the size of this car is big enough already. However, the British brand is known to cater to some of the most unusual tastes in the world and therefore opulence is a part of its DNA. Thus the launch of a bigger, longer and even bulletproof model was only a matter of time. The guys from Klassen are the first to come up with a stretched Cullinan and it is indeed an impressive machine. The German tuner is known for offering the same treatment to other models but for but their list didn’t include any Rolls-Royce model up until now. 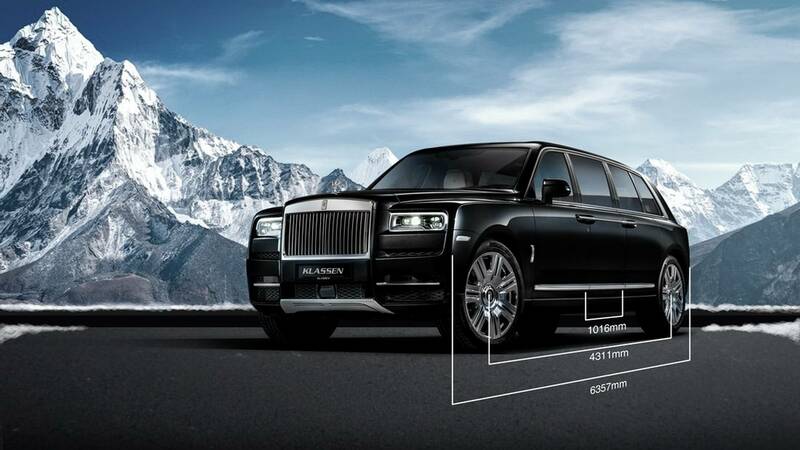 The car they offer is extended by some 40 inches right in the middle, offering the Cullinan a wheelbase of 169.7 inches, which is more than what other cars measure in total length. From the front to the rear, the Cullinan now is 250.2 inches in length, reminiscing of those Hummer limousines you see all the time on the Las Vegas strip. The SUV is also armored, offering its occupants Level 7 ballistic protection and offering potential customers the chance to order one with Level 9 protection, if they care to spend more money. Since the car is pretty long and you might have a bad time trying to reach the driver or some of the controls from the back seat, most functions are apparently controllable via iPhone. The price for this thing? A cool $2 million according to a listing on popular European car sales website Mobile.de. Considering the car starts at over $325,000 that’s a hefty increase. Furthemore, you’ll have to order the car first and then take it to Klassen for the changes, which will take yet another 6 months to complete. Worth it? Maybe some people might find it’s worth the money and we’re definitely curious to see how many they end up selling. Previous post What would you like to know about the new BMW 3 Series G20? Ask Away!